In July of this year, Mashable posted a story about the “Sharepocalypse” that’s occurring on the social web today. The article suggests that all of this sharing of content, across multiple social networking platforms, is “culminating in massive information overload.” The story goes on to outline how this compulsion for sharing online is a growing problem but also an opportunity for startups. A recent infographic created by Summify indicates that Facebook users post 4 Billion items, including status updates, photos and more every day. And that number is expected to double by next year. Social media influence measurement platforms like Klout are a cause and a bi-product of this trend. That’s because, the more you share and the more your posts get re-shared and amplified by others, the higher you score as a social media influencer on Klout. And some companies are starting to require that their employees have a high score in order promote their digital savviness. 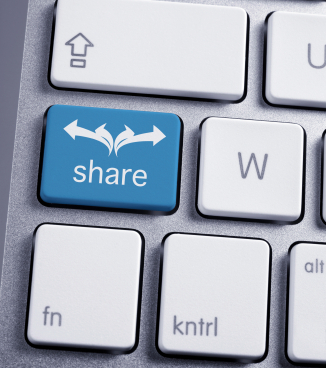 So, the content sharing numbers seem destined to grow higher and higher as people feel compelled to share information in order to compete with others for better scores. It’s almost like a video game, based on how well you contribute to the social web. So, if this “sharepocalypse” is only going to grow, then why not play the game? There are a number of Canadian startups who are already tapping into this trend. A great example is Toronto-based Shweet.com, which offers rewards for people who share their partners’ video content. Every time you share a partner video from Shweet, you earn points. Once you’ve reached a certain point threshold, you are then able to purchase virtual tickets to enter to win sponsored prizes via a random draw. Another great example is Edmonton’s Empire Avenue. Similar to Klout, this website measures your social influence (or social capital) by allowing individuals to commodify their social media participation on a virtual stock market. Other users can buy virtual stocks, via “Eaves” (a virtual currency on Empire Avenue), in an individual’s social media influence. The more that individual shares, the more people are likely to buy stocks in their personal brand. Know of any other Canadian startups tapping into this trend? Please share their stories in the comments section below. This can be a really interesting post! Thank you for it! Using sincerely Luke aka couchgool. Hey there I just wanted to stop by and say i love reading your website. An outstanding share! I’ve just forwarded this onto a colleague who was conducting a little research on this. And he in fact bought me dinner because I found it for him… lol. So allow me to reword this…. Thank YOU for the meal!! But yeah, thanx for spending time to discuss this subject here on your site.